In some cases, change has been hard to implement at scale or at all for that matter. Sometimes we are blinded by perceived success as is the case for many high performing school districts that have high test scores. A question that typically will materialize is why to change if we are already doing so well. Success is often in the eye of the beholder based on established criteria. This reason alone is why careful thought and attention have to be made as to how schools and educators are evaluated. 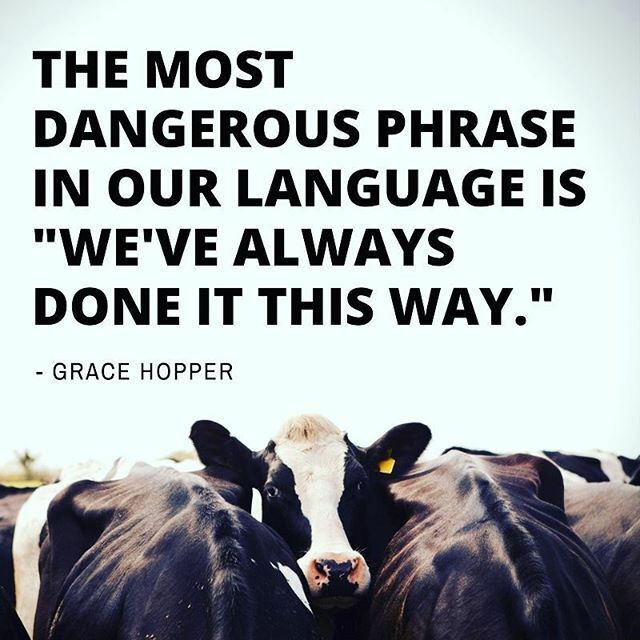 Not looking at other areas for improvement or growth for this reason alone has placed many schools and districts into perpetually sustaining the status quo. It goes without saying that this does not serve our learners or employees well as the new world of work requires much more than a high test score. Many other contributing factors inhibit the pursuit of meaningful change such as time, finances, mandates, and directives. However, there is another significant impediment to change that doesn’t get as much focus as it should and that is tradition. What this then morphs into is a mentality of ”if it’s not broken why fix it”? However, the underlying reason for not changing can be chalked up to TTWWADI – That’s the way we’ve always done it. Tradition, combined with the comfort of the status quo, forms a plausible excuse for not changing. As a result, the learning culture does not evolve or becomes stagnant for both learners and educators. TTWWADI is also a characteristic of a fixed mindset. The above list is not exhaustive by any means, but it does provide many opportunities for reflection on whether or not these traditional aspects of education are still persuasive and have remained unchanged. If we continue to do what we have always done in education, then the chances are we will continue to get what we have always gotten. We can ill afford to accept this outcome as changes to the current and future world of work inherent in the 4th Industrial Revolution demand different and better. My point is that the focus should be on taking a critical lens to traditional practices and determine if the way in which they are being implemented is actually in the best interests of a vibrant and prosperous learning culture. Changes are being made in schools across the world. However, it is vital that we don’t become immune to the fact that a TTWWADI mindset might be entrenched elsewhere in a school, district, or organization beyond our line of sight. As a principal, I dealt with this very issue in the form of the Director of IT. I am not going to mince my words here. The individual in this position was nasty to kids and teachers alike. He was also combative with building administration and got away with it as he was empowered for all the wrong reasons by the superintendent at the time. When it came to Internet filtering, he lived by TTWWADI. Over time my colleagues and I worked with the new superintendent to bring about change to his fixed mindset. He eventually left for another district, and we were fortunate to hire a new person for the position who embodied a growth mindset in this area. The bottom line is that concerted efforts should always be made to improve existing structures and practices that impact culture. Just because it worked in the past does not mean it is an effective practice in its current form today. All educators now have access to a vast amount of research that can lead to practical changes to the items listed above. There is also a plethora of practical strategies that have led to evidence of improved outcomes available on the Internet and in recently published books. TTWWADI is not always in the best interests of the learners we serve or of the educators that need support to grow and innovate with purpose. To create a thriving culture, some hard battles against tradition need to be fought.